Update, March 1, 2015: The Commission submitted its report to General Convention in December 2014, and it will be published in the Blue Book online on the General Convention website. The shape of the proposal remains as presented below. As we prepare for General Convention, we welcome additional reflections for the deputies and bishops who will vote on the proposal. We first published this update in February 2014, and we received a lot of positive response. The commission is now preparing its report to the 2015 General Convention, and we invite additional comments. As we said in February, please read, consider, and discuss our proposal—then let us know what you think about it in the comments section of this blog post. At the last General Convention, the Standing Commission on Liturgy & Music was directed to continue revising Holy Women, Holy Men with particular attention to the 2006 guidelines, renewed attention to the form, poetry, and seasons of liturgical life inherent in the Book of Common Prayer and to continue to seek responses from the wider Church. As we have reviewed responses to Holy Women, Holy Men and reflected together, the SCLM is proposing a new approach to commemorations tentatively entitled A Great Cloud of Witnesses. Posted on the SCLM blog (liturgyandmusic.wordpress.com) is a document that explains what we are proposing and why. Because this is a matter of interest to the whole Church, we would like to get feedback from the Church concerning this direction we are taking. Please read, consider, and discuss our proposal—then let us know what you think about it in the comments section of the blog post where the document appears. Your comments will help determine whether we continue working in this new direction or whether we continue along the established model currently embodied in Holy Women, Holy Men. In the interest of moving forward in one direction or the other, we invite comments on the blog before February 22nd so they may be taken into account at our meeting the following week. This volume, “A Great Cloud of Witnesses,” is a further step in the development of liturgical commemorations within the life of The Episcopal Church. These developments fall under three categories. First, this volume presents a wide array of possible commemorations for individuals and congregations to observe. Recognizing that there are many perspectives on the identity and place of exemplary Christians in the life of the church, this volume proposes that the metaphor of a “family history” is a fitting way to describe who is included. As such the title of this volume is drawn from the Epistle to the Hebrews, that “we are surrounded by so great a cloud of witnesses” (Hebrews 12:1). Those people found in this volume are not all definitively declared to be saints but are Christians who have inspired other Christians in different times and places. Second, a refinement of the core calendar of commemoration is proposed. The core calendar of commemorations for the Episcopal Church will center on the feasts of our Lord and other major feasts listed on pages 16 and 17 of the Book of Common Prayer. The calendar in “A Great Calendar of Witnesses” does not purport to be a definitive collection of saints but rather an additional calendar of optional commemorations that represent the breadth of the Christian family story. Many of the commemorations from Holy Women, Holy Men will be included with the possibility of adding other figures, including women and people from under-represented communities. Third, materials for weekday celebrations during seasons of the church will be placed in a separate volume, The Weekday Eucharist Book. Thus, the seasonal propers currently found in Holy Women, Holy Men would be in a separate volume with additional materials provided. Despite these affirmations of the saints as constitutive members of our baptismal community, the prayer book shows a great reluctance to define the term or to make specific identifications. The Catechism touches on this issue only briefly, identifying the communion of the saints in broad relational terms: “The communion of saints is the whole family of God, the living and the dead, those whom we love and those whom we hurt, bound together in Christ by sacrament, prayer, and praise.” In Christian language throughout the ages, “saint” has carried two referents, a general one that applies to the whole Church—which is the meaning invoked here—and a more specific one that applies to individuals who have been identified as “chosen vessels of [God’s] grace and the lights of the world in their generations” from among their fellows. The Calendar in the prayer book contains a number of names. Of these, the term “saint” appears only a handful of times and always in connection to a limited set of people who appear in the New Testament: his earthly parents, Mary and Joseph, John the Baptist, the apostles, the evangelists, Paul, and others such as Mary Magdalene, Stephen, James of Jerusalem, and Michael. The state of additional persons not given the title of “saint” is ambiguous. These are the commemorations permitted within the Days of Optional Observance as described in the general rubrics of the Calendar (BCP, p.18). A clear definition of the status of these persons is absent. This ambiguity is appropriate to the range of theologies around sainthood and holiness within the Episcopal Church. While some Episcopalians actively venerate the saints, others hold positions proceeding from Reformation desires to reform the cults of saints like those found in the 39 Articles. In other words, the ambiguity exists for the sake of inclusivity, and maintains the Anglican tradition of a comprehensive approach to questions not decisively settled by Scripture and the teaching of the received ecumenical councils. …undertake a revision of Lesser Feasts and Fasts 2000, to reflect our increasing awareness of the importance of the ministry of all the people of God and of the cultural diversity of The Episcopal Church, of the wider Anglican Communion, of our ecumenical partners, and of our lively experience of sainthood in local communities. the significance of that experience of local sainthood in encouraging the living out of baptism. That, in turn, led to study and discussion resulting in Holy Women, Holy Men, which has been in a state of trial use since 2009. The reception of Holy Women, Holy Men and additional commemoration requests brought to General Convention since 2009 suggests that the breadth of sanctoral theologies (that is, theologies of sainthood) within the Church remains as broad as ever, resulting in disagreements concerning who does and does not belong in the Calendar. At the same time, many people have expressed appreciation for the expansion of the Calendar because it has broadened their knowledge of the Christian family story. In order to maintain a comprehensive stance towards differing theologies of sainthood and to recognize the desire to remember people important to the Church without passing judgment on their sanctoral status or requiring them to fit within a particular mold of saintliness, we propose the creation of a resource tentatively titled “A Great Cloud of Witnesses: Praying with the Whole People of God.” “This resource will recognize individuals who have made significant contributions to our understanding of our calling as the Body of Christ within the complexities of the 21st century world without making a statement one way or another on their sanctity.” It would serve as a family history, identifying those people inside and outside the Episcopal / Anglican tradition who help us proclaim the Gospel in word, deed, and truth. Holy Women, Holy Men, and before it Lesser Feasts and Fasts, also included liturgical material for weekday celebrations during the seasons of the church year. To streamline our liturgical resources, we propose to place this material in a separate volume, The Weekday Eucharist Book. While “A Great Cloud of Witnesses” does not intend to be a calendar that presents a definitive list of saints, there is no doubt that many of the people within it will be recognized as saints. In its call to revise Lesser Feasts and Fasts, General Convention emphasized the importance of the local recognition of sanctity. As we look across the Church’s broad history, this is, in fact, the predominant level on which sanctity has been identified. Local communities celebrated local heroes. Too, local communities gave special emphasis to those fellow, yet heroic, members of the Body of Christ with whom they shared a special bond—whether through a common occupation, a common circumstance, or through their physical presence in the form of relics. Saints were declared by parishes and by dioceses. In most places and times, there was no formal set of criteria that had to be met. Instead, the local communities operated on a broad basic principle: that Christ was known more intimately through them, and that the holiness of the person was both evidence of their participation in the greater life of God and was an inspiration for those around them to act likewise. The centralization of the process of declaring saints occurred within the Roman Catholic Church with the Decretals of Gregory IX in 1234, asserting that canonization could only occur with the authorization of the pope. This was part and parcel of the centralization of authority to the papal office in the high medieval period. Over the following centuries, bureaucratic regulations and a specific legal process were created to ensure a formal process. Only at this point were specific criteria drawn up including the famous requirement of two documented miracles. In other words, this curial, top-down, centralized approach to naming saints has only existed in one part of the Church for less than half of its existence. Conversely, some of the most beloved saints within the Roman Catholic Church such as Benedict of Nursia and Augustine of Hippo never went through this process! The Calendar of the first American Book of Common Prayer, authorized in 1789, contained most of the feasts now recognized as Holy Days and no others. In this regard, it follows the example of the earliest Anglican prayer books. The same Calendar appeared—with a few additions like the Transfiguration in 1892—through the 1928 prayer book. While some had argued for the inclusion of post-biblical saints in the Calendar of the 1928 prayer book, this did not come to pass; however, a Common of Saints was provided, officially permitting the local Eucharistic celebration of saints, while still retaining an official Calendar obligating only the universally acknowledged saints of the Apostolic Age. The publication of the supplementary American Missal in 1931 by noted church musician and liturgist Winifred Douglas containing an expanded Calendar of saints demonstrates the local desire for such celebrations during this time; the official condemnation of this work by some thirty bishops of the day testify to the differences of opinion regarding the expanded Calendar as well as many other matters. In the first stages of revision for the 1979 Book of Common Prayer, the Standing Liturgical Commission appointed a Calendar committee headed by the Rev. Massey Shepherd to study the issue of the Calendar once again. The process of additions to the Calendar has been of a piece of the broader development of the Book of Common Prayer. Additions to the Calendar typically begin with recommendations from individuals and dioceses, reflective of local commemoration practices, made to General Convention, which then asks the Standing Commission on Liturgy and Music to review the proposals and make a recommendation to the next convention. This process of proposal based on local commemorations and affirmation by General Convention represents the baptismal ecclesiology of the Book of Common Prayer in which constituent members of the Church contribute to the wider vitality and mission of the Church. “A Great Cloud of Witnesses” represents the desire of General Convention for a revision of the calendar of the Church that reflects the lively experience of sainthood, especially on the level of the local community. In this way, “A Great Cloud of Witnesses” is a tool for learning about the history of the Church and identifying those who have inspired us and challenged us from the time of the New Testament down to the present moment. Some of the individuals within it are recognized as saints in many parts of the Church Universal today. Others are not. Some present special challenges—whether that be from their mode of life, what we now perceive as misunderstandings of the Gospel call, a lack of charity towards others, or other reasons. We intend “A Great Cloud of Witness” to serve several purposes. First, it is a catechetical tool to educate the faithful about the breadth of witness to the transforming work of God in Christ Jesus. Second, it is a collection that provides a range of options for commemorations in the form of Eucharistic celebrations, prayer offices, or individual devotions. Following the broad stream of Christian tradition, there are no formal criteria for defining saints. Rather, sanctity is celebrated locally by a decision that individuals so honored shine forth Christ to the world. They illuminate different facets of Christian maturity to spur us on to an adult faith in the Risen Christ and the life of the Spirit he offers. As illustrations, they mirror the myriad virtues of Christ in order that, in their examples, we might recognize those same virtues and features of holiness in people closer to our own times and stations and neighborhoods. And, seeing them in those around us, we may be more able to cultivate these virtues and forms of holiness—through grace—as we strive to imitate Christ as well. Following in the tradition of Lesser Feasts and Fasts/Holy Women, Holy Men, “A Great Cloud of Witnesses” will contain all of those people authorized for the Calendar by General Convention through 2006. The majority of individuals submitted in 2009 and those approved at the 2012 General Convention will also be included. Criteria for the inclusion of additional names are laid out in detail below. As in previous works, names will be organized by date of traditional commemoration, usually the date of death. Each entry will include a biographical narrative giving a sense of the person or event, and how their life and witness has contributed to who we are today. A devotional collect in both traditional and contemporary language is also included. New to this resource is a set of indexing “tags” that will contribute to a better understanding of how the entry fits into the broader scope of Church history. These will identify main spheres of influence, how they are commemorated (if at all) in their home church and in churches across the Anglican Communion, and will identify Commons of Various Occasions and Commons of Saints related to the life, work, or impact of the occasion. Should a local community identify an entry for celebration as a saint, the Commons of Saints indicated will provide appropriate propers. Alternatively, a Eucharist celebrating a related Various Occasion might include the devotional collect within the conclusion to the Prayers of the People. The current Commons will be enriched, particularly through the addition of more options for biblical readings that will allow a celebrant to more closely tailor the set of readings to the witness of the saint celebrated. Most of these Commons will be drawn from Holy Women, Holy Men with some revisions reflective of the feedback process following the 2009 General Convention. The Weekday Eucharist Book will contain all propers needed for celebrations of the Eucharist on day for which a commemoration is not observed. Materials for the weekdays during the seasons of the church year will be collected together in their appropriate seasonal sequence, thus presenting a central resource for the church seasons. The Common of Various Occasions will follow. Despite their inclusion in the Book of Common Prayer, these commons have not seen widespread use. Giving them their due visibility, a more complete explanation of their function, and assigning them expanded biblical readings should help them become more widely known. As indicated above, “A Great Cloud of Witnesses” offers a wide and diverse collection of people from across Christian history and the Episcopal story. As our common life continues to unfold, new names will need to be added. These criteria provide guidelines for how these additions will be considered. The criterion requiring an individual to have been deceased for at least fifty years has also been dropped. While that provision is useful for gaining appropriate perspective regarding the deceased, it has not been a universally observed rule in Christian history and practice. This requirement has been removed as a reflection of the need to retain some people with the collective memory of the church prior to fifty years since that person’s death. In light of this, criterion 6 speaks of a “reasonable period of time” elapsing. 1. Historicity: Christianity is a radically historical religion, so in almost every instance it is not theological realities or spiritual movements but exemplary witness to the Gospel of Christ in lives actually lived that is remembered in our family story. Like all families, however, our family includes important matriarchs and patriarchs about whom little verifiable is known yet whose names and influence still exert influence on how we understand ourselves in relation to them. 2. Christian Discipleship: The family story captured here is uniquely and identifiably a Christian story. This set of stories commemorates the ways particular Christians live out the promises of baptism. A worthy summary of these promises is captured in our Baptismal Covenant including a commitment to the Triune God as captured in the Apostles’ Creed, continuing in the apostles’ teaching and fellowship: the breaking of bread and the prayers, resisting evil and repenting when necessary, proclaiming by word and example the Good News of God in Christ, seeking and serving Christ in all persons, and striving for justice and peace among all people. Rather than being an anachronistic checklist, these should be considered general guidelines for considering holistic Christian life and practice. There may be occasional exceptional cases where not all of these promises are successfully kept, or when the person in question is not Christian, yet the person’s life and work still significantly impacts the ongoing life of the Church and contributes to our fuller understanding of the Gospel. 3. Significance: Those remembered should have been in their lifetime extraordinary, even heroic servants of God and God’s people for the sake, and after the example, of Jesus Christ. They may also be people whose creative work or whose manner of life has glorified God, enriched the life of the Church, or led others to a deeper understanding of God. In their varied ways, those remembered have revealed Christ’s presence in, and Lordship over, all of history; and continue to inspire us as we carry forward God’s mission in the world. 4. Range of Inclusion: Particular attention should be paid to Episcopalians and other members of the Anglican Communion. Attention should also be paid to gender and race, to the inclusion of lay people (witnessing in this way to our baptismal understanding of the Church), and to ecumenical partners and people who have had their own distinctive influence upon us. In addition to the better known, it is important also to include those “whose memory may have faded in the shifting fashions of public concern, but whose witness is deemed important to the life and mission of the Church” (Thomas Talley). 5. Local Observance: Similarly, it should normatively be the case that significant remembrance of a particular person already exists within the Church at the local and regional levels before that person is included in the Church’s larger story. 6. Perspective: The introduction of new names should be done with a certain economy lest the balance of the whole be overwhelmed. In the cases of the recently departed—particularly in the case of controversial names—care should be given to seeing them from the perspective of history. Names added should show a broad influence upon the church and result from a wide-spread desire expressed across the Church over a reasonable period of time. 7. Combined Remembrances: Not all those included need to be remembered “in isolation.” Where there are close and natural links between persons to be remembered, a joint commemoration would make excellent sense (e.g., the Reformation martyrs—Latimer and Ridley; bishops of Lincoln, Robert Grosseteste and Hugh). Preface for a Saint (1), BCP, p. 348/380. Preface for a Saint(2), BCP, p. 348/380. BCP, p. 95. Cf. p. 53 for slightly different wording expressing the same content. BCP, p. 504. Cf. the Rite I version on p. 489. While this title does not technically contain the name “Saint,” the term “Holy” is directly equivalent. To name one challenge, the anti-Semitism/anti-Judaism of some writers and teachers is a significant stumbling-block to celebrating them as saints. It’s great to hear from people who have appreciated keeping the commemorations and reading the blog. While the official period of trial use has concluded, you may continue to use the resource. Having gone through a full year, we have received comments on all of the commemorations and so have feedback that will inform the Calendar Committee and the Commission in our report to the July 2012 General Convention. The online survey will be available until the end of August to receive additional comments on any commemoration. The survey is available in English and in Spanish. Update, 9/15/11: The online survey is now closed. You can purchase the book from Church Publishing. You can download the text in Spanish (Santas, Santos) and in English from the Standing Commission on Liturgy and Music page on the General Convention website. Update: 9/15/11: Santas, Santoscontinues to be available on the General Convention website. You can access the English version through the Archives on this blog – the commemorations were posted from July 2010 through June 2011. The SCLM continues to receive comments through this blog. The official year of trial use of Holy Women, Holy Men concluded on June 30. Many thanks to our blogging team who created the posts, and to all of our readers and all of you who commented on the commemorations. This summer the Calendar Committee of the Standing Commission on Liturgy and Music is continuing its review of your comments and responses to the online survey. The committee is preparing recommendations for the commission to review at our October meeting, and a public report of those recommendations would come after that meeting. If theology is “thinking about faith” and arranging those thoughts in some systematic order, then Irenaeus has been rightly recognized by Catholics and Protestants alike as the ﬁrst great systematic theologian. There is considerable doubt about the year of Irenaeus’ birth; estimates vary from 97 to 160. It is certain that he learned the Christian faith in Ephesus at the feet of the venerable Polycarp, who in turn had known John the Evangelist. Some years before 177, probably while Irenaeus was still in his teens, he carried the tradition of Christianity to Lyons in southern France. His name means “the peaceable one”—and suitably so. The year 177 brought hardship to the mission in Gaul. Persecution broke out, and a mounting tide of heresy threatened to engulf the Church. Irenaeus, by now a presbyter, was sent to Rome to mediate the dispute regarding Montanism, which the Bishop of Rome, Eleutherus, seemed to embrace. While Irenaeus was on this mission, the aged Bishop of Lyons, Pothinus, died in prison during a local persecution. When Irenaeus returned to Lyons, he was elected bishop to succeed Pothinus. 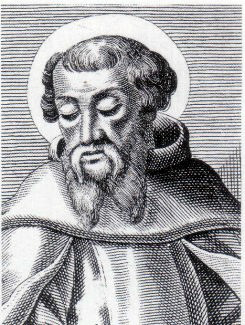 Irenaeus’ enduring fame rests mainly on a large treatise, entitled The Refutation and Overthrow of Gnosis, Falsely So-Called, usually shortened to Against Heresies. In it, Irenaeus describes the major Gnostic systems, thoroughly, clearly, and often with biting humor. It is one of our chief sources of knowledge about Gnosticism. He also makes a case for Christianity which has become a classic, resting heavily on Scripture, and on the continuity between the teaching of the Apostles and the teaching of bishops, generation after generation, especially in the great see cities. Against the Gnostics, who despised the ﬂesh and exalted the spirit, he stressed two doctrines: that of the creation as good, and that of the resurrection of the body. A late and uncertain tradition claims that he suffered martyrdom, about 202. I Almighty God, who didst uphold thy servant Irenaeus with strength to maintain the truth against every blast of vain doctrine: Keep us, we beseech thee, steadfast in thy true religion, that in constancy and peace we may walk in the way that leadeth to eternal life; through Jesus Christ our Lord, who liveth and reigneth with thee and the Holy Spirit, one God, now and for ever. Amen. II Almighty God, you upheld your servant Irenaeus with strength to maintain the truth against every blast of vain doctrine: Keep us, we pray, steadfast in your true religion, that in constancy and peace we may walk in the way that leads to eternal life; through Jesus Christ our Lord, who lives and reigns with you and the Holy Spirit, one God, now and for ever. Amen. Isabel Hapgood, a lifelong and faithful Episcopalian, was a force behind ecumenical relations between Episcopalians and Russian Orthodoxy in the United States around the turn of the twentieth century. Born in Massachusetts of a wealthy family, Hapgood was educated in private schools. She was a superior student with a particular talent for the study of languages. In addition to the standard fare of the time—Latin and French—she also mastered most of the Romantic and Germanic languages of Europe and most notably Russian, Polish, and Church Slavonic. She possessed the particular gift of being able to translate the subtleties of Russian into equally subtle English. Her translations made the works of Dostoyevsky, Tolstoy, Gorky, and Chekov, among others, available to English readers. She was also a proliﬁc journalist writing regularly for The Nation, and The New York Evening Post, and was a contributor to The New York Times, Harper’s Weekly, The Century, and The Atlantic Monthly. Between 1887-1889, Hapgood traveled extensively through Russia. That visit cemented a lifelong love of Russia, its language and culture, and particularly the Russian Orthodox Church. She would make return visits to Russia almost every year for the rest of her life. Her love of Russian Orthodoxy and its great Divine Liturgy led her to seek the permission of the hierarchy to translate the rites into English. Hapgood’s already established reputation as a sensitive translator certainly contributed, but in the meantime she had developed close relationships with Russian clergy and musicians at all levels of the hierarchy. The work, Service Book of the Holy-Orthodox Catholic Church, took eleven years to complete. It received support of the Russian Orthodox bishops in North America, particularly Archbishop Tikhon who was later to give Hapgood’s work a second blessing when he became Patriarch of Moscow. 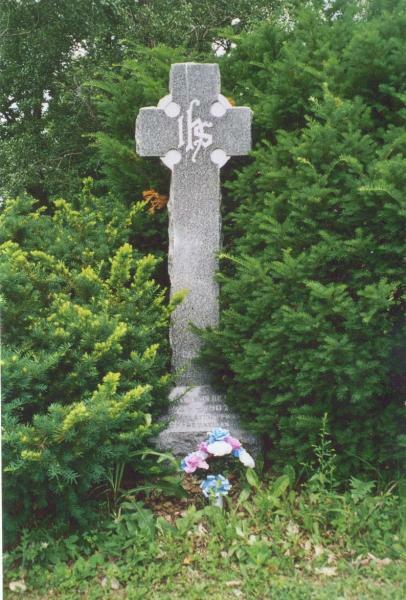 Isabel Florence Hapgood is faithfully recalled among the Russian Orthodox in North America for her contribution to their common life, her desire for closer relations between Russian Orthodox and Episcopalians, and for her making the liturgical treasures of their tradition available to the English-speaking world. I Loving God, we offer thanks for the work and witness of Isabel Florence Hapgood, who introduced the Divine Liturgy of the Russian Orthodox Church to English-speaking Christians, and encouraged dialogue between Anglicans and Orthodox. Guide us as we build on the foundation that she gave us, that all may be one in Christ; who with thee and the Holy Spirit liveth and reigneth, one God, unto ages of ages. Amen. II Loving God, we thank you for the work and witness of Isabel Florence Hapgood, who introduced the Divine Liturgy of the Russian Orthodox Church to English-speaking Christians, and encouraged dialogue between Anglicans and Orthodox. Guide us as we build on the foundation that she gave us, that all may be one in Christ; who with you and the Holy Spirit lives and reigns, one God, to the ages of ages. Amen.